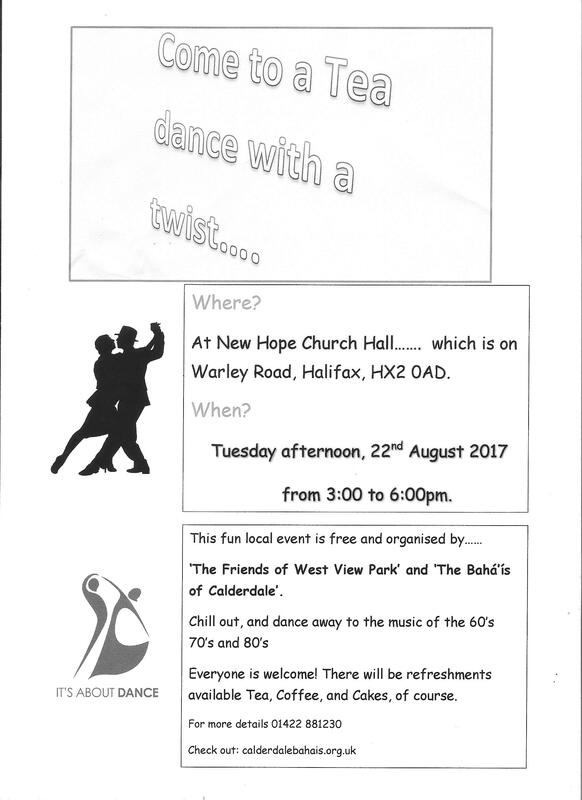 Join The Friends of West View Park and The Baha’is of Calderdale for Tea and a Dance with Twist on Tuesday 22 August 2017 from 3pm to 6pm at New Hope Church Hall, Warley Road, Halifax HX2 0AD. Chill out and dance to the music of the 60’s, 70’s and 80’s from Little Eva to The Sweet and more. Everyone is welcome at this FREE event and there will be tea, coffee – and of course cake! ← North and East Halifax Friday Flyer 18 August – OUT NOW! !